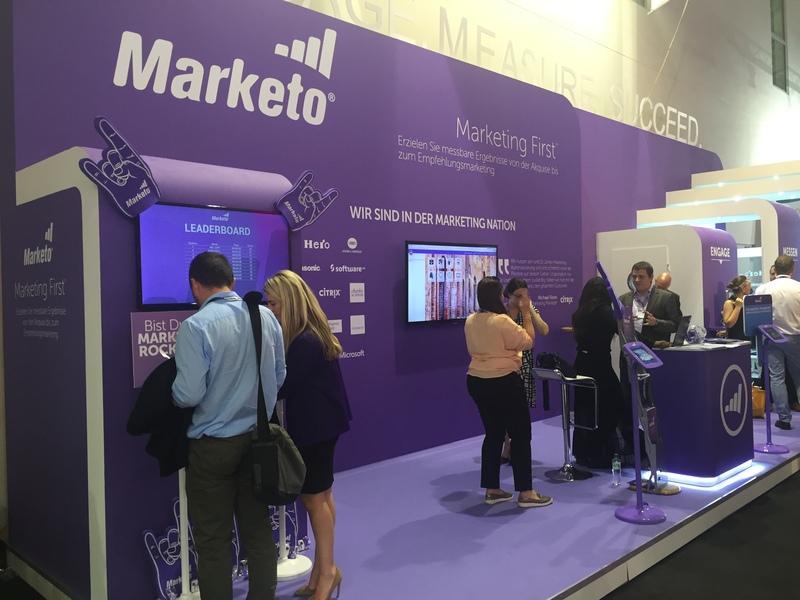 Finer Vision were excited to be supporting Marketo at the Dmexco exhibition in KÖLN September 2016. Our aim was for users to engage with our digital quiz 'Are You A Marketing Rockstar'. Users simply clicked start on the iPad and took a 8 question quiz, they were scored on correct and answers and timed on how quickly they completed each question. Results were streamed to the leaderboard on the big screen. Of course key data was captured during the event. It was such a huge success with entries every 2.35 minutes throughout the duration of the event. Our only down-side was we should of had more iPads as users were queueing to play and engage.